As an author, I know that characters often take on lives of their own. But what would you do if you received a phone call from someone you thought only existed in the pages of your book? That is exactly what happened to me, Marissa Honeycutt, author of The Life of Anna. Imagine my complete shock when I was called upon to perform an extraordinary and revolting task: travel to Russia to speak to one hailed by many as their all-time favorite villain. No one begins life as an evil son of a... well, you know, including Devin. Believe it or not, there was a time when our villain was a young man in love. So what happened? Join me as I delve deep into the mind of Devin Andersen, to find out how the man became the monster. 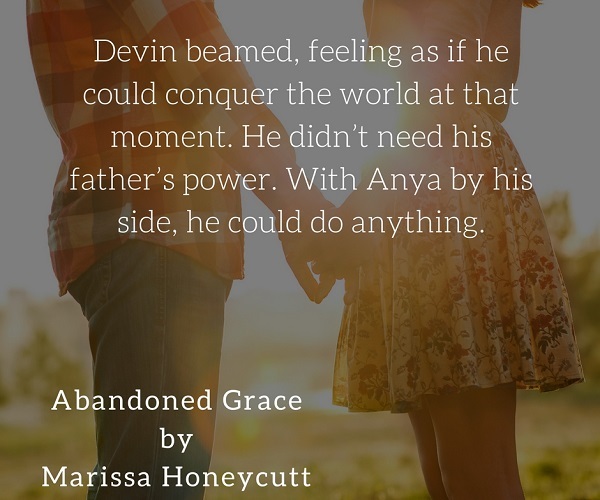 Abandoned Grace was a little snippet into the pre-Anna life of Devin Andersen. This quick read will be better appreciated if read after The Life of Anna series (and what a dark journey it was)! I loved, loved, loved this. I loved everything about it: the way it was written, the subject matter itself, the glimpse it gave us of a young Devin/evil mastermind. Even better was the foreshadowing that there may be some MORE stories about these characters that I've come to either totally love or deeply despise! Is there any way that Devin could be redeemed? Personally, I think not, but that's not to say we can't possibly understand his motivations to become what he is. This was a crazy good addition to one of my favorite series! Oh, wow, what a brilliant idea... and seriously freaking scary too. You really must read the stories which precede this interview to get the full force of what emerges, and what might be in the future. I love clever twists, and Ms. Honeycutt never fails to deliver – this may be the most devious of them all! Obviously I should give this 5 stars, but Devin prevented me. "If Stephen King wrote erotica...,"
...is how Marissa describes her books when asked. She doesn't seek to write any particular genre, style, or length, only following her gut instincts and the lead of her characters. The Life of Anna crosses many genre lines including erotica, suspense, psychological thriller, horror, political conspiracy, paranormal, and romance. Marissa's story of Anna began with a dream about being kidnapped with Adam Savage from Mythbusters (Yes, really). Over the next year and a half, it morphed into the story that is now known as "The Life of Anna." 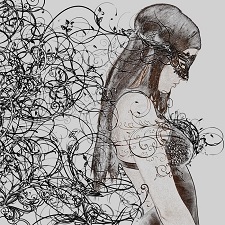 She has several other stories in progress, one of which is based on her kidnapped dream called Distorted Hope. Marissa stays busy homeschooling her two elementary age sons, running her household, fending off two adorable kittens, and interacting with her readers on social media. She is a self-proclaimed geek and has a deep love for all things Doctor Who. She is also actively pursuing a more natural lifestyle, which includes essential oils, natural cleaning products, and whole, organic foods. Marissa's addictions include the aforementioned Doctor Who, the Science and History Channels, anything chocolate mint, vintage books, cute kitty cats and laughter. 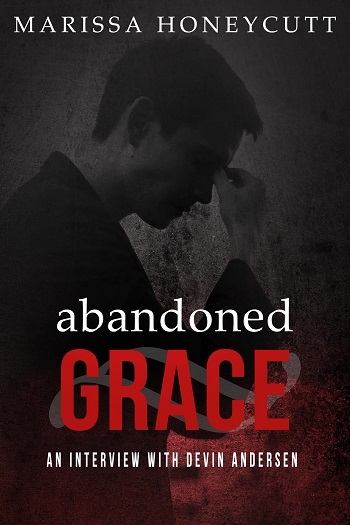 Reviewers on the Wicked Reads Review Team were provided a free copy of Abandoned Grace by Marissa Honeycutt to read and review for this tour.